Lila's Tale: Stealth is a stealth adventure AR game for ARKit supported devices. You play as a little girl named Lila who is trapped in a strange place. 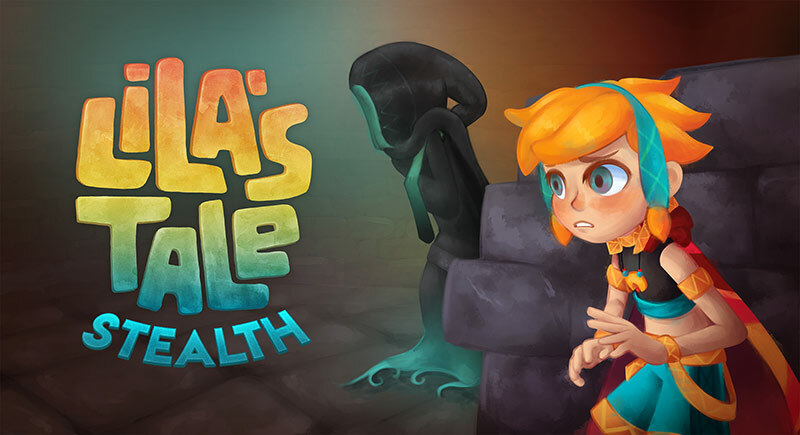 Use your phone to guide Lila to the exit of each dungeon while help her avoid enemies and collect coin on the way. There are lots of secrets to find, character upgrade options and more features and dungeon levels coming soon. Oh, you can also take screenshot with Lila as well! Lila's Tale: Stealth is among the first Apple AR (ARKit) games. It's stealth adventure Augmented Reality game that takes full advantage of Apple's Augmented Reality. In the game, you play as Lila, a 12 years old little girl trapped in a strange place which she needs to escape and hopefully find her brother again. 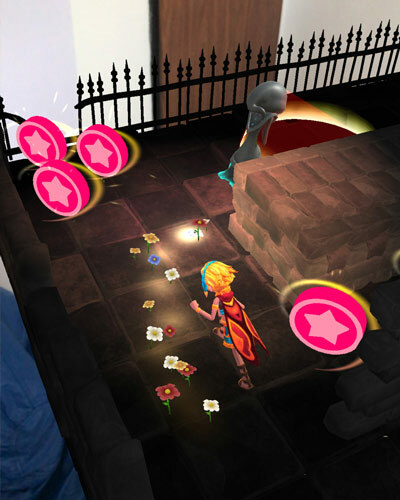 The player needs to use his phone to guide Lila through the dungeon so she can find a key and then guide her to the exit so she can escape that dungeon. Also while guiding Lilla to her destination try to collect as much coins as possible. You can later trade those coins for upgrades or for new hats. This is an Augmented Reality game, which means that you can play it anywhere you are, whether in your living room or your back garden and the game will display the dungeons over the current real-life settings you reside in. The upgrade options are really nice. For example, for 5 coins you can buy an upgrade called "Lila's Movement", which increase Lila's speed movement while guiding her. 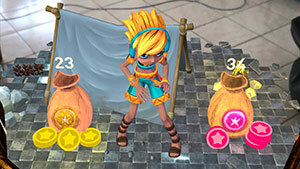 There is also the "Player's Light", which increases the range of your light while guiding Lila. Those lightweight RPG elements are a welcomed feature and help you push towards the progression of your character to make her able to deal with more threatening dungeons. The controls are straightforward, you drag to move, pinch to scale and twist to rotate. Objectives are designed with bright colors so it's easy to locate them. The visuals are really nice, rich and vivid. I also liked Lila's character design, you really feel for her and you want to help her out. It's very interesting to see how each game genre is newly represented in this brand new AR medium. The only thing that I found missing is the immersion of playing a stealth game in VR, but obviously, those are two completely different mediums. 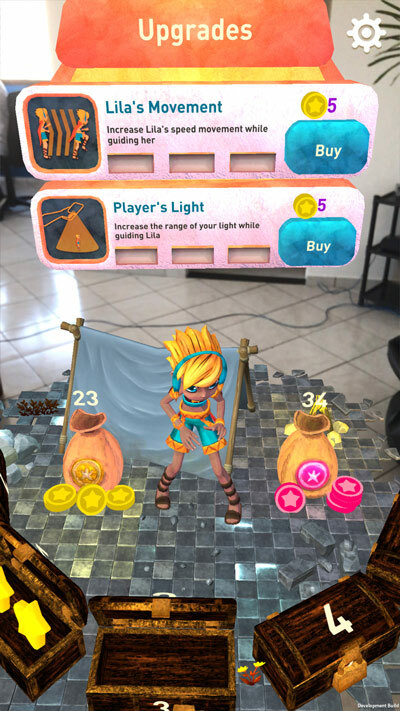 By the way, Lila's Tale: Stealth is an AR representation of the original award-winning Lila's Tale Gear VR game. However, this game is based on stealth interaction, while the original is a puzzle-based VR game.You probably want to check it out as well if you got the Gear VR and liked the art-style and gameplay of this title. Overall, I really like Lila's Tale: Stealth. It probably the first stealth game on Apple AR platform and I think Skullfish Studios has done a great job with this title. It's a charming little AR game that will appeal to anyone who got his hands on an iPhone or iPad mobile devices that support ARKit. The price is just right, so there is no reason why not to go and check this game out. Developer: Skullfish Studio Games Ltd. Publisher: Skullfish Studio Games Ltd.